"The opening pages are full of promise, but as you read on the conclusion leads to despair"
For many people in the world, there is nothing more comforting than the local bookshop. Even though it is not a library, the hushed tones of customers rustling through the aisles and attempting to find a hidden literary treasure is a unique experience. Complementing the familiar scent of new books are the memories of past literary adventures all readers experience. As you imagine the sights and smells of your favorite bookstore, come along to the world created by Penelope Fitzgerald in her novel, The Bookshop. 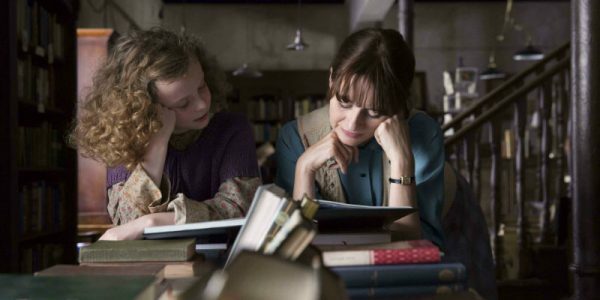 Set in the small coastal township of Hardborough, Suffolk in 1959, Florence Green (Emily Mortimer) has recently purchased the historic Old House to open a bookshop. An antiquated and damp establishment seems to fulfill her dream of introducing new worlds to the community and as a memorial to her late husband. Even with noble intentions, the aspiring retailer finds she has her fans and her adversaries within the tight-knit community. The affluent local matriarch, Violet Gamart (Patricia Clarkson) had her eyes on the property for an art center and causes extraordinary challenges for Florence with her political and financial means. This influence of the community leadership takes some time to come to fruition and the young shop owner manages to grow the business and gain support from the townsfolk and most notably from the reclusive Mr. Brundish (Bill Nighy). Then one business decision causes a ripple in the small town and Mrs. Gamart begins to make things exceptionally difficult for Mrs. Green. From the opening narration, there is underlying anticipation that this character-rich drama is going to deliver a potentially charming and beautiful story. Spanish director Isabel Coixet (Amodio) sets the tone of this quiet and smoldering tale with a pictorial depiction of the small community of Hardborough. Taking the audience back into a not-so-distant past and showing the best and worst of life in this small township. Capitalizing on the vibrant characters and setting up a desire to know the history behind each person and why they have become who they represent. These elements make up for the lethargic pacing and will keep audiences engaged for the first act, but eventually, the expectation turns into boredom and despair. What begins as beautiful landscapes turn into mere images between the less than inspiring dialogue. Being afforded with such rich characters and an outstanding cast to back these intriguing individuals, it is bewildering why this colorful palette of personalities could lead to such a dark and monochromatic conclusion. The set up takes some time, but the first act does help to develop an interest in this simple concept. Each character seems to hold something in their past that draws the audience into the rest of the story. Mortimer and Nighy are captivating and help to set up what should be an enjoyable tale of revival, redemption and courage, but their work becomes a depressing and unappealing narrative on the human condition. The reasoning behind the ultimate hopelessness of Florence Green’s journey can only be attributed to Coixet's European style of writing and direction. The set up of each of the individual player's life journey either becomes muddled or their narrative is left with a less than satisfying resolution. The cast does all they can to develop an appealing atmosphere through their performances, but the screenplay works against them. 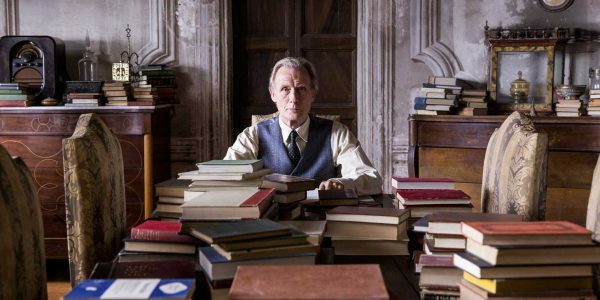 The best example of this is found in Bill Nighy's character, Mr. Brundish, who is given the most intriguing character on screen, but his story ultimately becomes as boring as the rest of the film. For all of the investment into the development of Penelope Fitzgerald’s novel, this production lacks the vitality or appeal promised in the beginning. The Bookshop has an underlying motivation to challenge people to be courageous and reach for your dreams or at least to challenge people to read more books. All of these hopeful overtures are undermined by a frustrating and morally confusing message of corruption and misplaced belief.